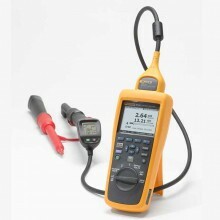 Includes: Fluke BT521 Battery Analyser, 4-Wire Test Pin (Set), BTL10 Basic Test lead (Set), TL175 TwistGuard Test Leads with Adapter, 2x L300 Attachable LED Torches, BTL21 Intelligent Test Probe Set with Extender and Temperature Sensor, i410 AC/DC Current Clamp, Lithium Ion Battery, AC Charger, Mini USB Cable, Shoulder Strap, Belt Strap, Magnetic Hanging Strap, FlukeView Battery Management Software, Soft Carrying Case, 2 x Spare Fuses, 100 x Paper Battery Tags. 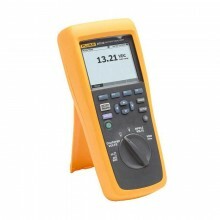 The Fluke BT521 Battery Analyser is a multifunctional meter designed for the test and measurement of a stationary battery system. 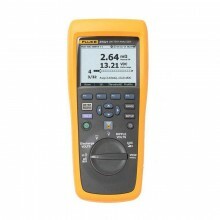 The BT521 can measure the battery internal resistance and voltages. These measurements can be used to determine the overall condition of the system. It can also measure electrical parameters for battery system maintenance, including dc voltage up to 600 V, ac voltage up to 600 V rms, and ripple voltage. 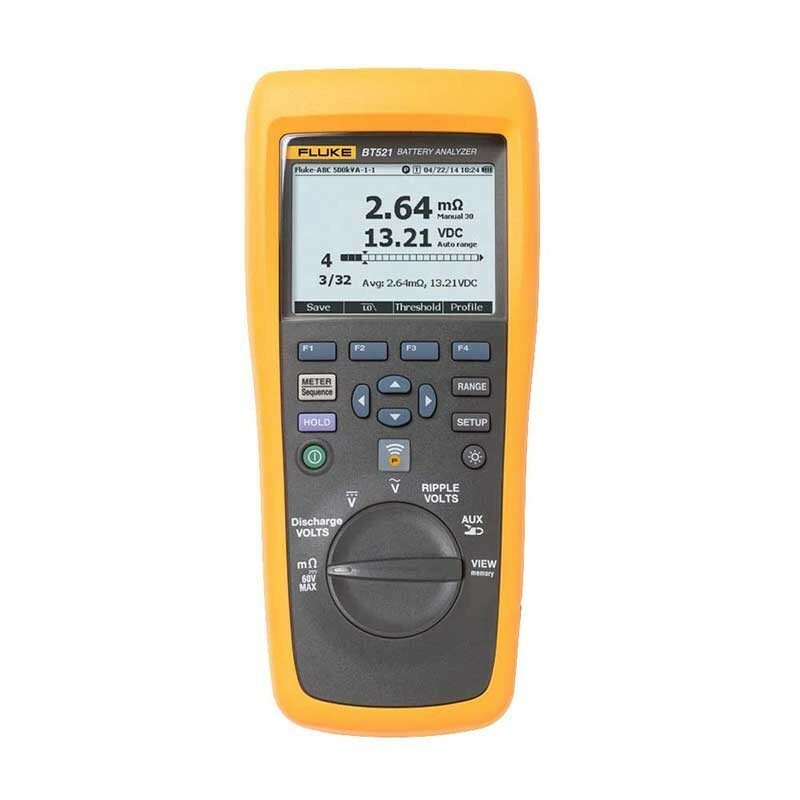 Fluke Battery Analysers allow you to quickly and easily define upper and lower measurement thresholds or tolerance ranges. During the testing process, measured values are automatically compared to the predefined threshold levels producing a PASS, FAIL or WARN indication after each measurement. A maximum of 10 sets of thresholds can be stored. Sequence measurement mode: Automatic or manual sequence testing of battery strings. Comprehensive logging: All measured values are automatically captured during testing. Threshold comparison: Configure multiple reference values and thresholds for resistance and voltage. Easy reporting: Generate PDF report on the PC software with analysis graphics. 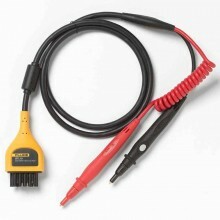 BTL21 Intelligent Test Probes with long and short extenders, built-in LCD display and speaker. 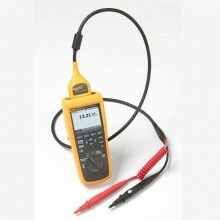 Wireless capability works with Fluke Battery Analyze mobile app (Fluke BA Mobile). Meter mode 999 records for each measurement position with time stamp. 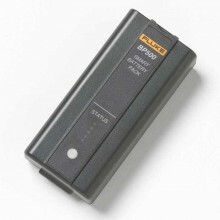 Sequence mode Up to 100 profiles and 100 profile templates (Each profile stores up to 450 batteries) with time stamp. 1 The measurement is based on ac injection method. The injected source signal is < 100 mA, 1 kHz. 2 Trigger level VAC: 10 mV, Aac: 10 A. Operating temperature 0°C to 40°C. Storage temperature -20°C to 50°C. 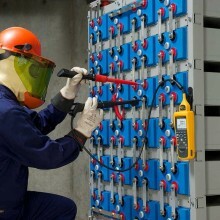 Lithium-ion battery charging temperature 0°C to 40°C. <=80% RH (at 10°C to 30°C). <=75% RH (at 30°C to 40°C). Operating altitude Sea level to 2000 meters. Storage altitude Sea level to 12,000 meters. Vibration requirements MIL-PRF-28800F: Class 2. Drop test requirements 1 meter. Temperature coefficients Add 0.1 x specified accuracy for each degree C above 28°C or below 18°C. Safety compliance 600 V CAT III. Protection class 2 Pollution Degree II. 2G per IEC68-2-26, 25G, and 29. Dimensions (H x W x D) 22 cm x 10.3 cm x 5.8 cm (9 in x 4 in x 2 in). Weight 850 g (1.9 lb). Screen dimensions 7.7 cm x 5.6 cm (3 in x 2.2 in). 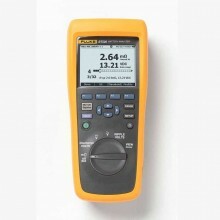 Fluke BT521 Warranty 3 years. PDF Specifications of the Fluke BT510, BT520 & BT521 Battery Analysers.